Steel sculptures by Aaron Poovey are seen around Sonoma County. Aaron Poovey has created numerous stainless steel sculptures. One man's junk - is another man's art. Art created from recycled metal. Aaron Poovey is noted for his masterful stone-sculpting skills. 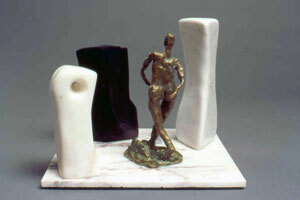 Mixed media sculpture by Aaron Poovey in Sebastopol, CA. 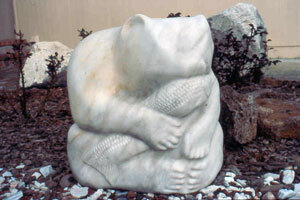 Large marble sculpture depicting a bear enjoying the fruits of his labor. 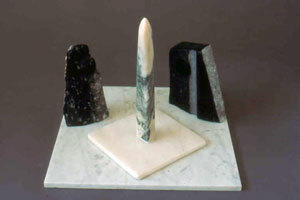 Stone sculpture consisting of various types of marble.